Established in 2002, CMYK Print Solutions is a leading Digital printing machines company in Egypt. Over the past 15 years, we have accumulated a wealth of experience and grew from a small business into today’s leading enterprise. 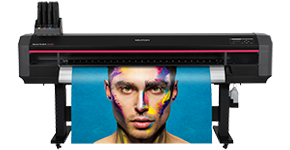 We have made a great success in digital printing solutions . We provide our customers with a wide range of printing materials that are widely used in the industry. Ever since 2002, CMYK print solutions has grown from one success to another & enlarged its satisfied customer database, from 30 to reach 5200 customers in 2014.With a headquarter in Egypt, CMYK extended its network to have branches in Syria, Saudi, Sudan, UAE and Algeria beside the unique freezone warehouse in Suez covering the whole Middle East and Africa. We’ve made it together through another year of hard work and dedication to the industry. 11 El Obour Gardens, Salah Salem, Nasr City, Cairo – Egypt.